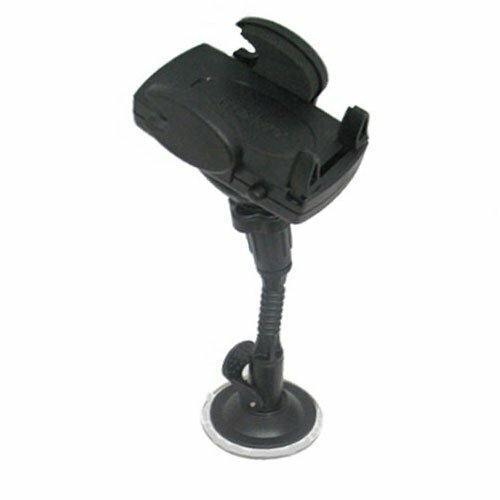 Windshield Vehicle Mount Cradle suitable for the Blackberry 9550 9530 9520 9570 - Flexible Gooseneck Holder with Suction Cup for Car / Auto. Whether you are on a cross-country road trip or the daily commute to the office, there is a lot of convenience to having clear visibility and fingertip access to your Blackberry 9550 9530 9520 9570. 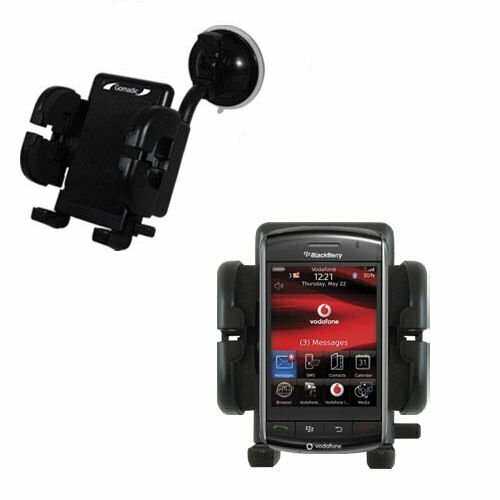 The Gomadic Flexible Windshield Mount for the Blackberry 9550 9530 9520 9570 will work in every car, will set up (and store) in seconds and will hold your device in a safe and secure manner. Extra attention was made to the construction of the flexible suction cup-based gooseneck mount to ensure that it not only adhered to the windshield in a failsafe manner, but also that it absorbed vibrations to provide a better, more stable viewing experience. Like every product Gomadic has ever made, this product is backed by our Gomadic Lifetime Warranty. Buy with confidence! The Gomadic Vent Mount is one of the easiest ways to have a very professional factory-installed appearance for your Blackberry 9550 9530 9520 9570. 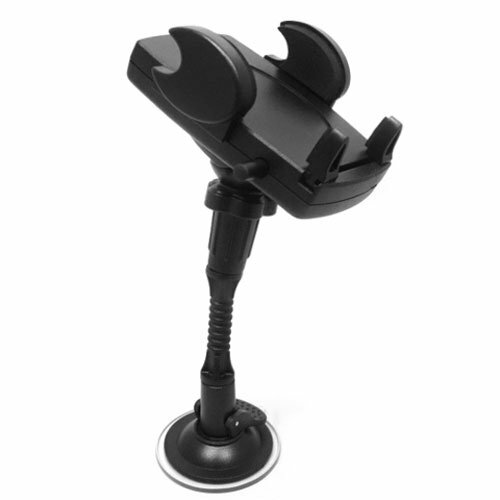 Simple to install and nearly universally compatible with all vehicle air vent systems, the vent mount will safely and securely hold your Blackberry 9550 9530 9520 9570. Designed with highly adjustable support mechanisms in both the spring loaded vent clips as well as the cradle holder adjusters, users can easily customize the device viewing angle to their exact specification. Uniquely designed, flexibly engineered and well-constructed of light but durable materials, this product is backed by our lifetime warranty. Safely travel in style with this unique vent mount! 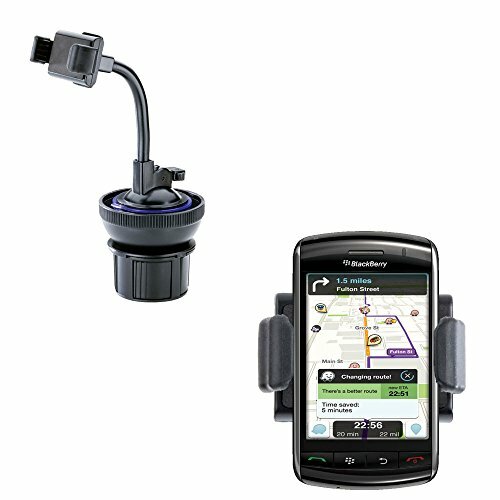 Keep your BlackBerry Storm right where you want it with Amzer’s 3M Adhesive Dash or Console Mount. First, you’ll slide your Storm into the Custom Fit Cradle for a secure hold. The Cradle attaches to the adjustable Mount and allows for multiple viewing angles. To the bottom of the Mount is a one inch square of strong 3M adhesive, attach to any flat surface in your vehicle. This handy mount is small enough, that it doesn’t interfere with your line of sight while driving. 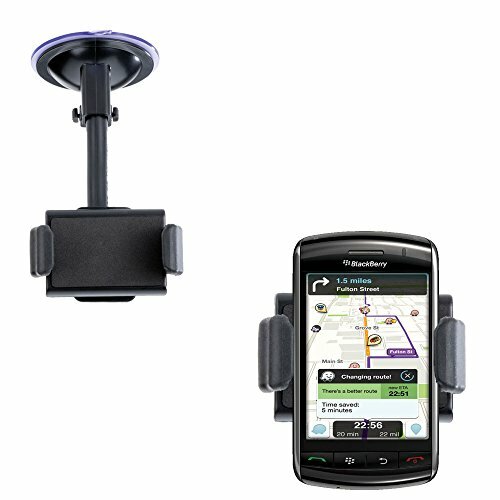 Safety first……With Amzer’s 3M Adhesive Dash Mount for your BlackBerry Storm! 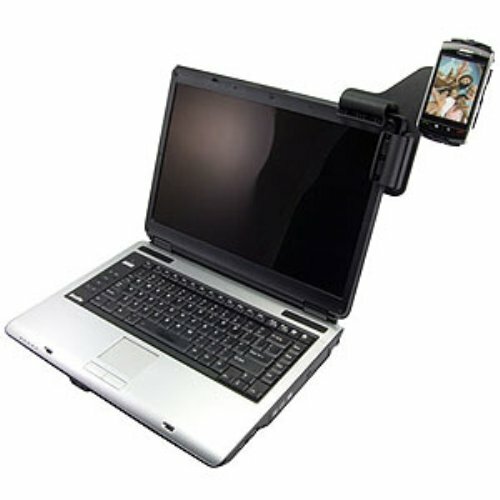 The Laptop Mobile Connect Mount allows you to securely hold your mobile phone from the screen of your laptop or notebook. It features spring-loaded cushioned support arms that grasp the right hand corner of your laptop or notebook's screen. Universal Designed to work with most Laptops and Notebooks, regardless of screen size. You can Position your BlackBerry Storm at fingers reach for easy synching and tethering. Its Custom cradle for BlackBerry Storm is a perfect fit when not using a case or protective cover on your phone. 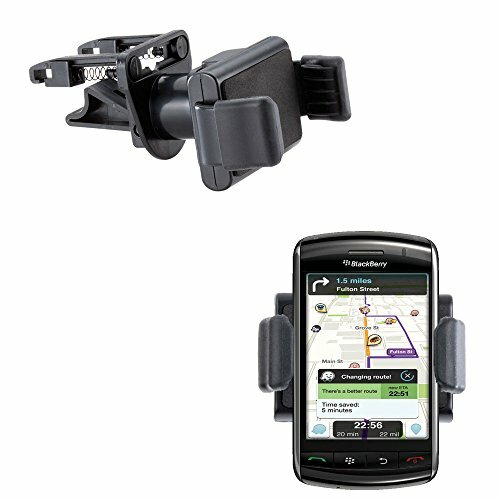 Why buy one auto mount for your Blackberry 9550 9530 9520 9570 when you can get two mounts for the price of one? With our ultra compact 2-in-1 cupholder/windshield mounting system, you can mount your device in the most convenient spot based on your needs. 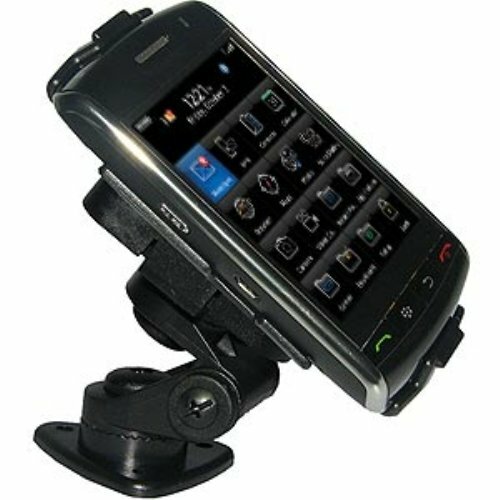 The Gomadic flexible windshield mount holds your Blackberry 9550 9530 9520 9570 in an optimal position for hands-free use. The 9.5"" flexible arm dampens movement and vibration as you drive, and a simple twist swivels the viewing orientation between portrait and landscape position adjusting in seconds with only one hand. With a lock-and-release lever, the suction cup makes transferring your device from one vehicle to another a breeze. For those times when you want to leave your windshield unobstructed the hassle free universal cupholder mount provides convenient access to your device from your car / truck cupholder. Both mounts can be installed and removed in seconds, making it convenient to move from one car to another, while eliminating any threat of theft. 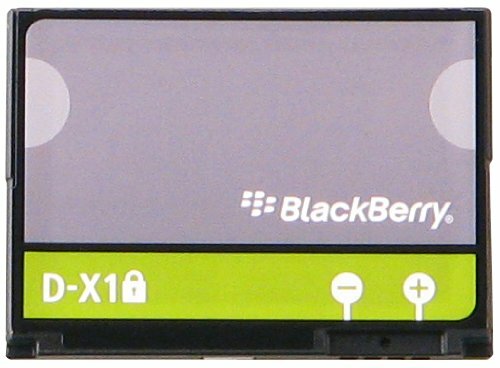 This is the perfect mounting kit for your Blackberry 9550 9530 9520 9570. 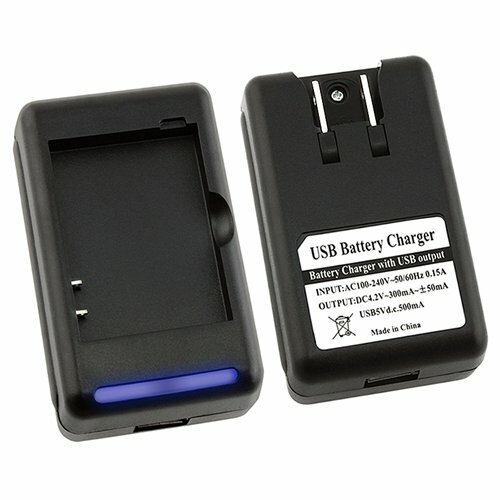 Compare prices on Blackberry Storm 9530 Cradle at LiveSaler.com – use promo codes and coupons for best offers and deals. We work hard to get you amazing deals and collect all avail hot offers online and represent it in one place for the customers. Now our visitors can leverage benefits of big brands and heavy discounts available for that day and for famous brands. We try to makes comparison shopping easy with Product Reviews, Merchant Ratings, Deal Alerts & Coupons. Find Deals, Compare Prices, Read Reviews & Save Money.